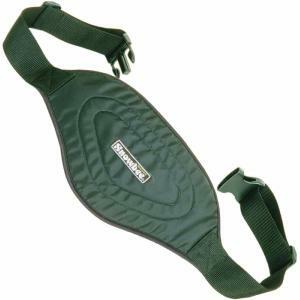 Snowbee Lumbar Support Wading Belt, if like many anglers, you suffer from an aching back after a full days fishing, Snowbee new Lumbar Support Belt is the answer. The belt comes complete with a 2" wide webbing belt which has a quick release Plastic Clip and buckles, allowing adjustment from 34" to 51". The rear lumbar pad has 1" thick contoured neoprene, inside a Nylon cover, to provide pressure and support, just where it's needed. Realy like it. Have some problems with lower back. So. When all day fishing on rivers, got some pain and it's ruined your fun time. Did try some different belts. This one is not BEATABLE !! Thanks, best regards. Really helps your lumber region.